Glencore has announced it is cutting jobs at its Tahmoor underground coal mine in the Illawarra. About forty workers will go, with the company blaming “significant economic pressures presented by the difficult Australian coal market’. It is understood the Glencore cuts will come from the mine’s development crews. BHP Billiton is expected to announce it will cut a number of coal jobs from its Appin, Westcliff and Dendrobium operations in the Illawarra region. Some reports claim the figure will be in the hundreds, but there has been no official word yet. Around 152 workers have been sacked from Wollongong Coal’s Wongawilli and Russell Vale mines. Wollongong’s situation is more complex than just the fluctuating coal price though. A long-wall machine has been buried underground, which means production is down and the mine cannot afford as many workers. 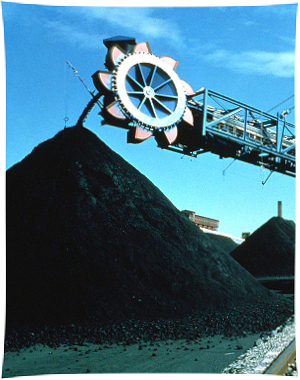 The CFMEU had been in negotiations with Wollongong Coal; the miner proposed workers take $21 an hour with reduced holidays, superannuation, sick leave and other benefits. The allegedly union told its members to vote against this offer, which led to over 100 workers being forced into redundancy. And finally, New Hope Group plans to cut 5 per cent of its workforce, blaming the falling coal price. The miner has about 600 staff, indicating 30 jobs are on the block. New Hope says all affected employees will be able to access free professional advice to assist them in moving to alternative employment.